"What is the healthiest meat you can eat? A nice, lean chicken breast from your supermarket? Think again! Meat from a pasture-fed cow has about the same amount of total fat as the chicken breast, but more omega-3 fatty acids and CLA and less cholesterol. It's a healthier package overall". We are taking orders for late Summer/early Fall delivery to the processor. Please contact me to be added to our waiting list. Star Haven Farms is owned and operated by Ray & Karen Hadaway on 40 acres of land that has been in our family for over 75 years. We produce naturally raised grassfed beef, fullblood and percentage Boer goats, and a limited amount of pastured hen eggs. Our farm is located just south of Iola, TX. We're about 35 miles east of Bryan/College Station and about 70 miles northwest of Houston. 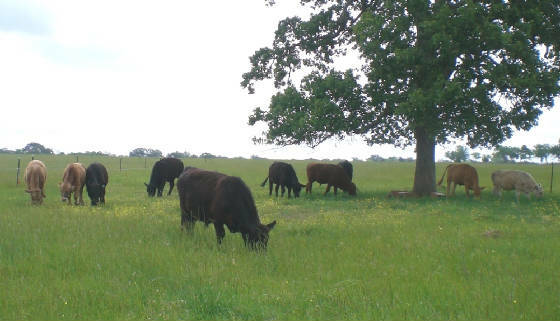 Star Haven Farms' Grassfed Beef is raised as nature intended, on fresh green pastures in the open air. We use no chemicals, herbicides or commercial fertilizers on our pastures! Our cattle are naturally raised on clover and grass, drink fresh well water, and live contentedly under the blue Texas sky. They are never fed grain nor receive any antibiotics or hormones. So what you get is beef that’s actually good for you! Production is limited, so please order early. Note: Grassfed Beef should not be confused with organic or "free-range", because as stated by Jo Robinson, author of Why Grassfed is Best, “organic meats may be free of chemicals, but does not guarantee the omega-3 rich diet of grass fed animals”. Star Haven Farms is proud to be a certified Texas Beef Quality Assurance Producer! Grassfed Beef has two to six times the heart healthy Omega-3 fatty acids as grainfed beef. Omega-3s are usually thought of as a benefit of eating fish! And, grassfed beef has twice the beta-carotene as grainfed beef. You’ll notice grassfed beef has a more yellow fat because of the extra beta-carotene. 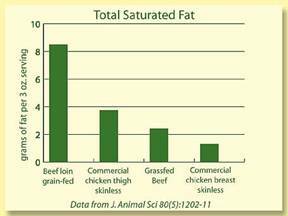 Grassfed beef also has four times the Vitamin E of grain fed beef, plus it's over 50% lower in saturated fat. Just a note: Without making any "medical claims", my husband's triglycerides have fallen from well over 280 to 120!! 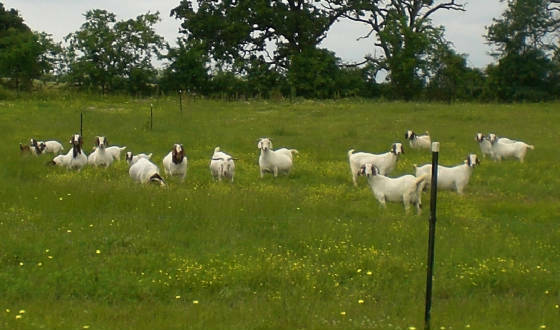 We have a small herd of fullblood and percentage Boer goats. We work hard to produce quality, healthy show goats and breeding stock for ourselves and our customers. Throughout the year we offer a limited number of FFA/ 4-H show wethers for sale. We also offer quality breeding and show does. Please consider us for your next Boer purchase.